Thanku Raviji. Baba bless u always. Baba mujh Dasi ko apne Charankamalon ki Sheetal Chaaya me Sthan de do. 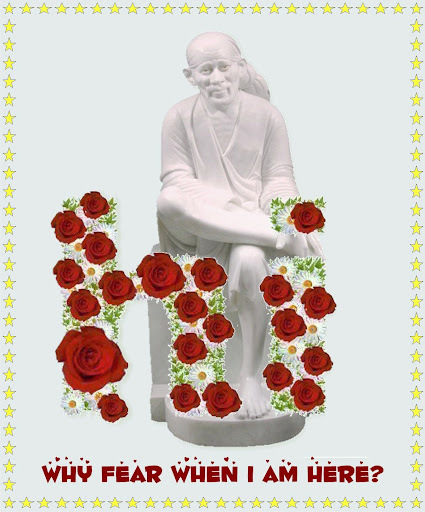 Thanks so much enjoyed seeing sai samadhi mandhir,baba bless u for this wonderfull gift showing us. I AM NOT ABLE TO SEE THE ENLARGED PICS OF BABA. WHENEVER I TRY,MY POP UP BLOCKS IT.I DID RIGHT CLICK ON THE GREEN LINE ON THE TOP BUT IT STILL DOES NOT WORK. I HAVE ATTACHED THE PIC AS IT APPEARS ON MY SCREEN. HOW SHOULD I SEE IT? Fantastic and Sai bless you.You have made my day start with such a wonderful website. I am so happy and Sai grace and bless you with many more endeavours. Thanks alot Ravi ji.I feel vvvv happy.I am in New york now,because of you i feel as if i am at shirdi.Thanks alot. BTW did you use up/down/left and rigth arrows keys? Try them. Also try + and -. You will feel blessed. I just tried the arrw keys + and _. On this auspicious day you have given us allSai's grace and blessings. Page created in 0.764 seconds with 66 queries.